Chocolate lovers rejoice. 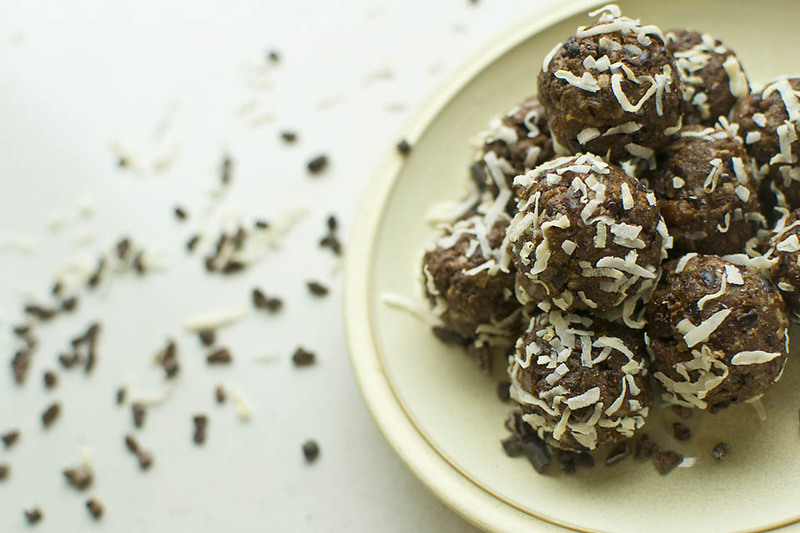 These Ch'almost Chocolate Power Balls are everything you've ever wished for: vegan, gluten-free, refined-sugar free and delightfully chocolatey. Not only are they filling, they're also the perfect answer to those pesky sugar cravings that always seem to come creeping at night. Whip up a batch of these irresistible crunchy treats and keep them in the fridge for a healthy, raw snack that is full of rich chocolate flavor. Speaking of chocolate, this recipe calls for a *secret* ingredient. 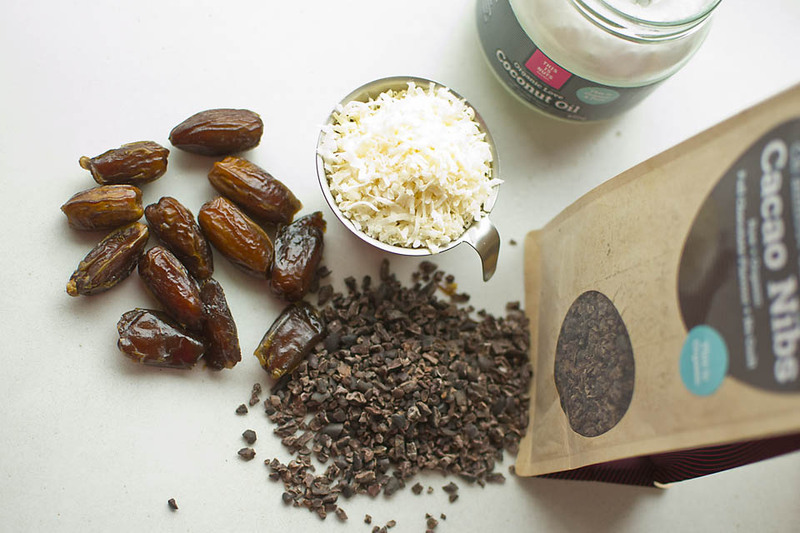 If you've never used raw cacao nibs before, now is the time to acquaint yourself with these nutrient-packed babies. 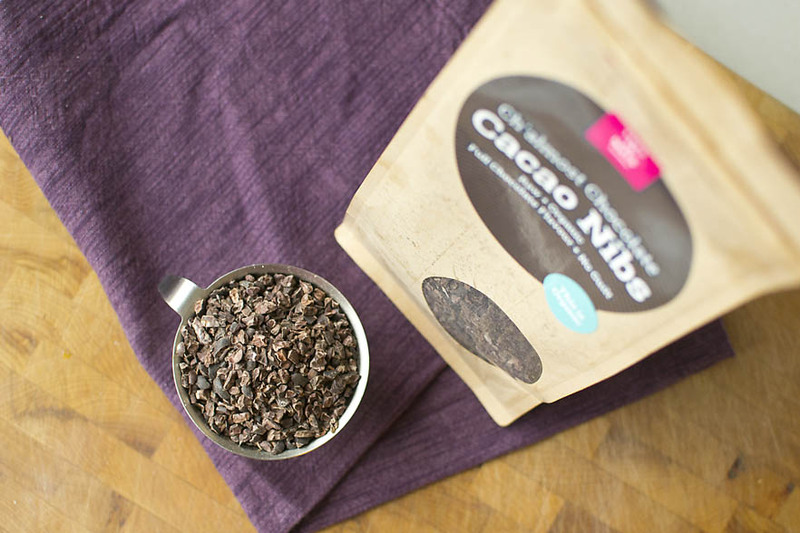 Cacao nibs are dried, roasted and crushed cacao beans, essentially chocolate in its most raw, pure form. They're full of antioxidants and phytonutrients, which help your body fight harmful free radicals. They're also an excellent source of essential minerals such as manganese, copper, iron and fibre. Unlike the kind of chocolate that you'd usually use for chocolate chip cookies or eat in the form of a chocolate bar, cacao nibs aren't sweet, but slightly bitter. Use them for baking, homemade snacks and even cooking for a savory, chocolatey flavour! You may not find them in your regular grocery store, but we've got you covered: Grab your organic cacao nibs here: Ch'Almost Chocolate Cacao Nibs. 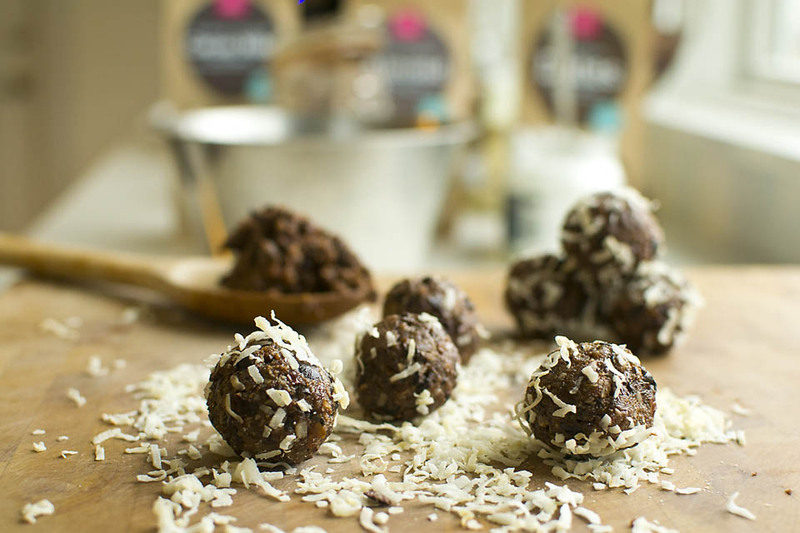 To complement the robust flavour of the cacao nibs and sweeten these Chocolate Power Balls naturally, we've added dates, shredded coconut and maple syrup to the mix. For moisture and texture, we're using coconut oil instead of butter, making this a completely vegan treat. Add in some cocoa powder and almond flour and boom, you've got yourself a healthy, raw chocolate snacks in 10 minutes or less. The texture and flavour of the finished treats is reminiscent of the oat-based chocolate balls kids love to make (Swedish Chocolate Balls), but without the butter and refined sugar. Think of it as the adult version of chocolate balls. If you're a coffee lover, you might want to try adding a dash of espresso to the mix as well. All the flavour without the guilt. For your convenience we've included links to the ingredients that are available in This Is Nuts' webshop. We specialize in all-natural and organic nuts, seeds, dried fruit and pantry essentials. Our produce is always from the first selection and of the highest quality. Chop the dates and cocnut flakes finely in a blender. 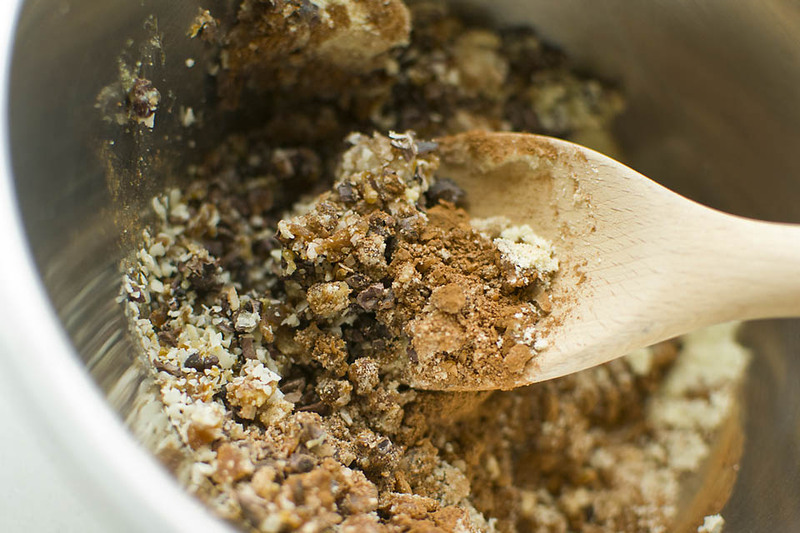 Pour the date and coconut flakes mixture into a bowl and add the rest of the ingredients. Work the batter with a wooden spoon until smooth. Add more coconut oil if the texture seems too dry. Roll the batter into small balls and roll them in coconut flakes. Refrigerate before eating (or dive in right away if you can't stand the wait! ).